So after a stunning (yet exhausting!) whirlwind trip to Madrid, I arrived back in Stevenage, a bit later than expected, since some genius managed to get his luggage on the plane and then couldn’t actually find the plane. Which resulted in missing the last bus back! But I eventually made it, and spent a bit more time with Nan, who distressingly, had had a pretty bad accident right before we’d walked in, and had injured herself severely, causing her to be laid up in bed the rest of the trip. In all her stubbornness she refused for us to call a doctor, but consented by Friday, when both a nurse and doctor visited and thankfully declared that though bruised and in a lot of pain, she hadn’t broken anything. It’s things like this that make it so incredibly difficult to be so far away, but my Dad is heading over within a few weeks, which will mean the world to her, and hopefully something can be done to help make sure she is as safe and comfortable as possible. The next day, I visited some beautifully kept gardens at Hatfield House (where Elizabethan history began! 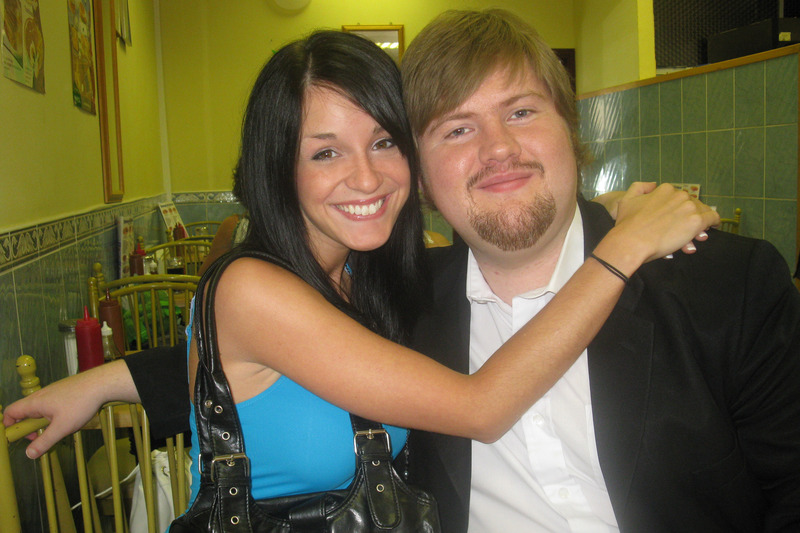 ), with another good friend, Shareen, and her boyfriend, who was great! We had afternoon tea and scones, Victoria Sponge (well worth the three pounds I put on in the last week), and talked travel, memories, and Extreme Ironing – a venture yet to come! That night, another one of my oldest friends, James, took us out to an historic little town just outside Stevenage, where we spent hours talking about everything and anything, learning about life in the military, reminiscing, laughing, and sharing hopes of the future. It still blows me away that someone I sat with in school over a decade ago, who I’ve only seen once or twice since, can still be so close and so comfortable to be around. Nights like that truly make me count my blessings. The next day, we made way to Leeds, where I learned that booking train tickets in advance is crucial. Clearly I hadn’t; and discovered it was consequently going to cost about $200 to travel there and back! C’est la vie, I suppose – didn’t let it spoil the time I had with one of my oldest friends, who I’ve literally known since I was about nine or ten years old, and her fiancé, who was incredibly hospitable and such a laugh. After a night of dinner, exploring the city, cat cuddling and z ombie fighting, he drove us into our final destination: York. London may have a piece of my heart but I have to say York has a little part of my soul, too. It’s the most haunted city in the UK, and the sense of history that consumes you the second you cross the city’s walls is just awe-inspiring. Surrounded on all sides, York’s streets are made of cobblestones that date back hundreds and hundreds of years. Lining them is an assortment of speciality shops, boutiques, and small pubs, one of which is built without foundations, giving rise to an inside full of warped nooks and twisted crannies with no regard to symmetry or balance at all. The walls were lined with newspaper clippings and framed ghost stories – the perfect place for a good English beer and a bite to eat on Friday the thirteenth! I squeezed the day dry, exploring the Dungeons, learning about Highwaymen, conspirators, plague and witchcraft, not to mention being scared witless as a group of us made our way through the dark. I walked a recreation of 10th century York and learned all sorts of Viking history, as well as the Shambles, an ancient street of mismatched buildings recorded as early as 1086, leading to Europe’s largest Gothic cathedral. I was led on an award-winning ghost tour where I laughed, cried, and was left wondering if I’d capture a glimpse of the plague girl abandoned by her parents, or the medieval army of ghosts. It was perfect. It seems I’ve arrived back in one piece, and I cannot begin to describe how quickly the last two weeks seemed to pass. Or how mortified I was to have had to go back to work on extreme jet lag and a throat which may as well have been full of razorblades the morning after landing! The trip was nothing short of breathtaking – visits with friends I’ve known over half my life; the feeling of pure belonging while roaming the streets of London by night, high on post-West End Musical awe and excitement while simultaneously thrilled at the feeling of sharing the grandeur of thousand year old monuments. Getting lost in a country not speaking the language and exploring another culture; seeing family and loved ones and moving on again in a whirlwind journey to the country’s most haunted city, full of gothic architecture, cobblestones, and ghosts. It was perfect, though all over far, far too fast. The trip started in one of my favourite places in the world: London. I don’t know if you’ve ever been away from home before (though I suppose London is a train ride away from the place I should truly call home), but every time I see a reference to the city on Doctor Who, have BBC radio playing on a Friday morning at work, or hear another English accent, my ears perk up along with my heartbeat and I feel an enormous sense of longing to be back there again. Sweet and I arrived at our hotel, which was a stone’s throw from Big Ben, the London Eye, and all things iconic and dreadfully, wonderfully touristy. Which, after a brief nap, I threw myself into headfirst. Initially, I went on my first international blogger meetup with the lovely Stephen Ko, where I overindulged in proper sausages, mash, and copious amounts of gravy. We then headed off to explore the city’s museums, which Stephen was kind enough to lead us to, though I must admit an hour’s sleep in over 24 hours didn’t make me the most brilliant of company! That night though, I must have got a second wind, and set off for what was certain to be a highlight: Wicked! I’d seen the show once a few years ago, and it was the best thing I’d ever seen, and once again, it was nothing short of gobsmacking. Dazzling costumes and special effects combined with incredible songwriting and world-class singers, and by the end of it, I was so thrilled with the evening ($12 for a drink aside – forgivable, since it was Pimm’s!) I decided t o walk back through the streets of London by night. Illuminated monuments and landmarks were at every turn, and I arrived back, perhaps a hundred photographs later, and collapsed in a happy heap. Roaming London after dark should very well have been dangerous, so I hear, but I felt no sense of fear, only an incredible feeling of belonging. I must say a good part of my heart will forever lie in that city. With the next day came my NEXT blogger meetup – brunch with Aly, who was absolutely lovely (she even left me with a little koala bear!). She took me to a favourite place of hers, where we talked for hours, feasted on pancakes, fruit and clotted cream, and discovered an amazing secret: our little table was in fact an old desk, and was the only one, it appeared, with a drawer. Aly opened it and found a secret stash of notes – on receipts, napkins, notepaper – little notes of love, hopes, appreciation and dreams, to which we of course added our own. It was quite remarkable, and made for quite the magical morning. After moving on to Stevenage, my home town (as well as teen pregnancy and chav capital of England), I was shocked at its deterioration. The walk from the train station to my Nan’s should have been filled with little shops, friendly faces, a picturesque duck pond and flower gardens at every step. I’m not sure if it was a trick of the memory of youth, severe degradation, or a combination of both, but the streets I grew up on were no longer as I remembered. The pond was caged off; a rank quagmire of mud, shopping trolleys, and birds no longer able to swim. The shops had all closed down, and the streets were covered in rubbish and trodden-in gum. But I was going to see Nan. The last time I’d visited was two years ago, when she was still very much herself; in a sling, yes, but in good spirits and perfectly able to come out with us, to cook, and to hug. When I walked into her living room, I almost didn’t recognise her. She’d lost a lot of weight, as well as her glasses, and her hair had grown out, shining and white, making her look small, frail. She’d broken both shoulders, and was unable to extend her arms, and seemed consumed by the armchair which I’m certain hadn’t moved in years. But then she opened her mouth to speak, and then she was Nan again. Fiesty and opinionated as ever, and beyond thrilled to see me. Everything was okay once she spoke, and the next day we went out with her wheelchair, her first exposure to the outside world in two months. It meant so much to be able to do something for her. That night we met up with Kier, one of my oldest friends in the world, for some drinks, pub food, and hours of talking and reminiscing. It felt wonderful to be able to share in his company again and I only wish the time didn’t have to be so fleeting, or the distance quite so far. We met again for a brief brunch later on in the trip, where he surprised me with a gift – a Star Trek bottle opener and a star ready for naming up there in the beautiful night sky. The thoughtfulness was incredible, and I must admit I shed a few tears on the way home that such good friends must be so far away. I didn’t spend much time in one place – I only had nine days left of holiday time from work, and two of them were spent on the journey there and back, so I REALLY crammed everything in. Next day I headed off to Madrid, Spain – a city I’ve never seen. After a plane ride where I was sat in front of two of my least favourite things in the world (a seat-kicking, screaming baby), I arrived in the middle of siesta time, when everything shuts down for a few hours and people retire for a brief nap to energise for the night ahead. I hadn’t realised my hotel was in The Dodgy End, either, so the initial impression of deserted, streets covered in graffiti was slightly disappointing – until I asked reception what there was for evening entertainment, and was pointed to the Metro station, similar to London’s Underground, which took me to the heart of the nation’s capital. Sting said it so well twenty years ago, and this past Monday, the 19th of April, marked the ten-year anniversary of my living in Canada. I still vividly remember how I was the day I left home: a young, impressionable, nerdy teenager whose sadness at leaving behind family and friends was balanced by the excitement at the prospect of everything a new continent had to offer. My parents had taken us to visit Canada once before we moved – three weeks in mid-August, where the city was bathed in sunshine, culture and crowds. We explored neighbourhoods and schools, in one of which I was taken on a tour, soaking in the cliques, the bright colours, the mohawks and the compliments on my accent. The houses were enormous – I’d be going from living in a house attached at the seams to neighbours we’d hear day and night; children crying, music blaring. The houses here were castles, with basements and three storeys, hardwood floors and space on either side. Approaching fifteen, I was excited for this adventure. Soon after we officially arrived, the novelty wore off. I didn’t know anyone. I was put into the IB Program, where the students who actually liked school were given opportunities to fast-track their education, reaching university level courses by the end of high school, and were taught a more challenging, more interesting curriculum. I loved the education, but I didn’t feel I belonged. I watched the “regular program” kids form their friendships, talking of their weekends together, laughing in the hallways, while I sat in the science room eating my lunch, watching the world go by. I was the quiet new girl, on the outside of something that seemed to have finished forming before I got here. And, eventually, that was okay. I spent some time over the next few years in university, searching for myself, for friends, for a sense of belonging. Anyone who showed the slightest bit of romantic interest in me was given my heart in a hurry, hoping it would be returned in a sense of finally belonging somewhere – to someone. I learned those life lessons the hard way, and my past is littered with naive mistakes, and people, who to this day, continue to define me by them. Yet still, I stand by the belief that those experiences taught me huge amounts about myself, and fuelled my desire to become worthy in my own eyes – to become okay with who I am as a person, and comfortable knowing I’m doing the best I can to be the best person I can. This city, above everything, has given me an education. An education in school, where I learned how much I loved to – well, learn. Opportunities to learn more about other people, and subsequently about myself. An education in life. And that is quite possibly the most valuable thing I could ever have. But still, ten years later, this city doesn’t feel like home. I don’t look upon it as comforting, nor do I look upon it as something I’m particularly proud of belonging to. It’s full of things and people that hurt me. It’s bitterly cold for at least six months out of twelve, with temperatures plunging to minus thirty, where people are surrounded by darkness and cold and don’t venture out of their homes unless they have to. The cold kills my back so much. A huge percentage of people here are on social welfare, and choose to remain that way, rather than taking advantage of the resources available to help them achieve independence (I sound horrid, but I’ve worked in the system). I carry leaflets with resources in my purse instead of change. The sidewalks are covered in spit and litter, and the air is filled with cursing and inanity. 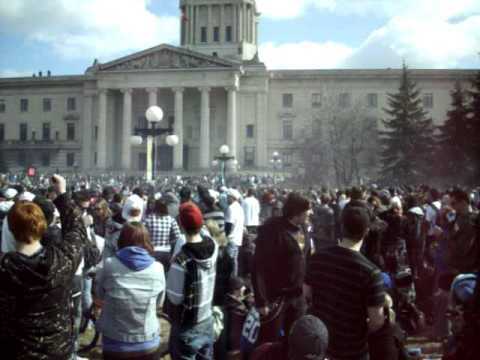 On 20th of April every year, hundreds of people gather at the city’s legislative building and advocate for smoking marijuana and the stoner lifestyle – lazing around, getting high, and wasting away their lives rather than taking in real life, learning, growing, and contributing to society. For two weeks in June, the city’s abundant trees (which line every street) are taken over by something bizarre called the canker worm – small green worms that build webs down from the leaves and hang from them in the air, resulting in getting caught on your clothes or in your hair. It’s terrifying. The summers are beautiful but are sabotaged by mosquitoes – I moved into this house in January, 2009, excited at the thought of soaking in the skyline view on summer evenings, on the bank of the river… These thoughts remain dreams, as the skies are filled with blood suckers and the house is covered in fish flies. There are no historical buildings dating further back than maybe a hundred years – no history, no culture, no identity. No feasts for the eyes – the whole province is flatter than Gwen Stefani’s stomach and any road trips are a test in consciousness. Elsewhere in the world, whole nations band together with pride at what their country has to offer – beautiful architecture, great music, literature – This place seems to have little to offer the world except Neil Young and Slurpees. It’s a daily goal of mine to count my blessings, and I am lucky to live in a place that isn’t worn-torn or disease-ridden, in a place where I have a good job and a handful of incredible people. For all these things, I’m truly thankful. But I can’t help but feel I belong somewhere else. A decade is enough to give somewhere, is it not? To try and make it home? I long for the days of living in England, a country of which I remain proud to this day. A country that offers incredible imagination to the world in the form of entertainment, that is proud to preserve historical sites thousands of years old, that has produced some of the greatest literature ever written. I know there are places elsewhere in the world where I wouldn’t be haunted by people who insist on reminding me of my past. Places where the arts are treasured and promoted, and where the days are long, sunny and warm. Where there’s culture, and mountains, and sea; beautiful buildings, museums, and open skies. Somewhere to fit in and soak up and feel at home. Somewhere people will welcome me. Somewhere I can feel proud to belong. I feel such a strong calling to get out of this place, but it’s hard when I don’t know where I’m being called to. Australia? A whole new adventure in Ireland, or New Zealand? My ten year anniversary here is indeed bittersweet, but it’s a chapter of my life I will always cherish, for being full of growth and of learning. My eyes are open to the possibilities the future may hold, and I’m fuelled by a desire for more. I’m hoping this summer’s trip to England will open my boyfriend’s eyes to the world outside our little city, and who knows, maybe together, we’ll be working towards a common dream… one that isn’t solely mine. It’s so hard to settle when there’s such a big world out there. Happy ten years, Winnipeg – and thanks for the education. In the words of the ever-poetic Jason Webley: you may not be my lover, but you’re the map I use to find her. One day, I’ll find somewhere I can call home again. Until then, I’ll wish hard on my shooting star, and hold onto it tightly until it lands me somewhere I truly belong.